iTech Post.com: Ancient humans that bear a resemblance to the fictional hobbit creatures apparently had bigger brains than we previously gave them credit for. The species known as Homo floresiensis was previously thought to have a brain volume of 400 cc, but it was actually 426 cc, bringing their brain size to roughly the same as a chimpanzee. That is, compared to about 1500 cc we currently have as Homo sapiens. 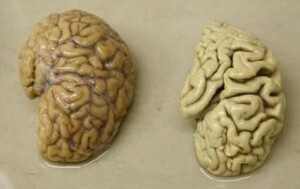 Researchers determined the larger brain size with a high-definition CT scanner. The remnants of the “hobbits” were discovered on the island of Flores, part of Indonesia, in 2003. The individuals were roughly three and a half feet tall, and had short legs when compared to their arms and feet.